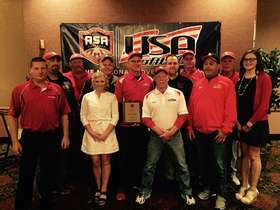 The Illinois ASA has voted to induct the Black Widows Softball Club into the 2016 Hall of Fame! Congratulations to all of the Players, Coaches and Parents that have made this possible! It's an incredible honor! Our teams have WON four ASA National Championships!!! five in 2005, six in 2006, seven in 2007, eight in 2009, 2010, 2011, ten in 2012, eleven in 2013 - 2017/18. We play league games throughout Southwest IL and/or Kirkwood, MO. We play in many local tournaments and travel to several tournaments throughout the midwest. The older teams participate in many college exposure tournaments as well as college exposure leagues. The amount of travel is dependent on the team you are on. We participate in IL State & National Tournaments throughout the USA. Edwardsville, Glen Carbon, Highland, Collinsville, Alton, Belleville, Granite City, Bethalto, Bunker Hill, Mascoutah, Mulberry Grove, O'Fallon, Breese, Troy, Gillespie, Hillsboro, Carlinville, Jerseyville, Staunton, Waterloo, Carlyle, Freeburg, Mt. Vernon, New Berlin, Girard, Litchfield, Springfield, Mt. Olive, Chatham, Illinois and MORE. We also have MANY Missouri players!